AkzoNobel has announced a new management structure for its Paints and Coatings business in advance of creating two focused high-performing businesses; Paints and Coatings and Specialty Chemicals. This announcement follows the recently communicated changes to the Executive Committee, including the appointment of Ruud Joosten as chief operating officer and David Allen as chief supply chain officer. The new, fully integrated, management structure will increase customer focus, drive further operational excellence, and build greater momentum and speed across the business. It will be based on four regional Paints business units and four integrated Coatings business units with full profit and loss responsibility. The businesses will be served by a world-class integrated supply chain organisation enabling accelerated efficiencies. In addition, the company is implementing a range of measures to mitigate current market challenges. These challenges include unfavourable foreign exchange rates, continued headwinds for the Marine and Protective Coatings industry, temporary disruption to the manufacturing and supply chain during the third quarter and current margin pressure from greater than expected raw material cost inflation. The new management structure and additional measures are being implemented to ensure on-going delivery of the AkzoNobel 2020 financial guidance, as announced back in April (15% return on sales and >25% return on investment for Paints and Coatings). 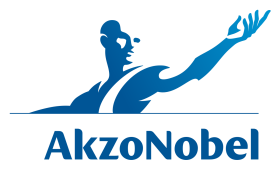 Steps already taken, including increased selling prices and additional cost control measures, are expected to enable AkzoNobel to deliver EBIT for 2017 higher than 2016 although by less than the previously communicated increase of €100 million. The separation of Specialty Chemicals remains on track for April 2018. Elsewhere, the company has also announced that Maëlys Castella, chief financial officer and member of the Board of Management, will step down due to health reasons. Ms. Castella is now on a leave of absence. Following an anticipated recovery, she is expected to return to AkzoNobel in a senior management role. The company has announced current group controller, Hans De Vriese, as interim CFO, while initiating a full internal and external search for a permanent replacement. Vanlancker added: “Maëlys has been an integral part of establishing the solid financial foundation and culture of operational excellence that AkzoNobel now has in place. We wish her a speedy recovery and look forward to having her back on our team once fully recovered.